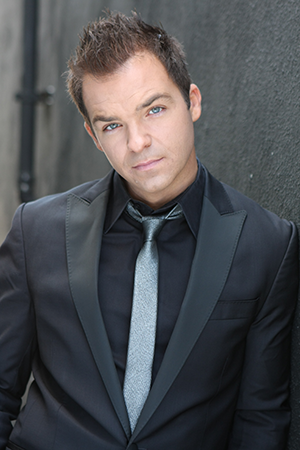 Cory "Live" Almeida is the host of the Emmy nominated, "Pictureka!" A family game show which airs on "The Hub", was flown to Hong Kong to host the pilot "Bizarre Comfort Foods" for the Discovery Channel. And is fresh off the set of hosting uAngel’s "Television Today." He has worked on some of the most prestigious shows and been a part of some of the most A-List events including the "Glee Season Premiere Event" and the "FOX Fall Premiere Party" where he reported live from the red carpet for fox.com. Cory is the current Warmup Host & DJ for "Dancing with the Stars," "The Voice," "So You Think You Can Dance," "America’s Got Talent" and the Grand Daddy of em all…"American Idol!" He has Emceed events for DirecTV, Disney Red Carpet Premieres, AT&T and Apple Computers Inc., just to name a few. He was the featured cover story of Pro Sound and Stage magazine. Cory Almeida is versatile, charming and a consummate professional. So the next time you turn on your TV, look for the guy on the mic, in front of the crowd, or behind the turntables, chances are it’ll be…Cory Almeida! We specialize in personalized treatment at affordable rates. Our company has decades of experience bringing its dedicated services to the area. Our staff has earned accolades and acclaim for its tireless effort to exceed your expectations. Wed love to show you why were the best. Please browse our site to learn more!